Everyone knows banking branch infrastructure is changing. Financial institutions (FIs) are closing, downsizing and re-creating branches heavily dependent upon technology. All of these efforts are necessary to become more profitable. Despite the prevailing trend of banks closing branches at a faster rate than they are opening them, we continue to see banks promote, if not celebrate, the opening of new branches. A dive into the “new branch” activities of TD Bank, Capital One and Chase reveals that FIs rely heavily on old-school, tried-and-true tactics to create awareness and drive traffic when marketing new bank branches. A survey from SNL Financial indicates that higher-income areas fared better than lower-income areas. 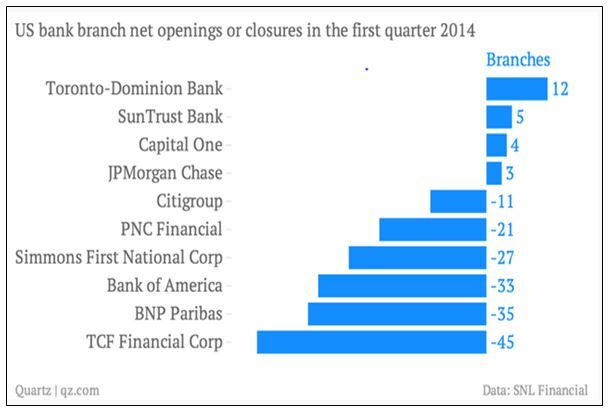 For markets where the median household income was +$100k, new branch openings tallied at 118 versus 148 closings. For markets with a median household income of $50-100k, openings were 426 versus 753 closings. In the lowest income areas, closings far surpassed new branch expansions. The channels, tactics and offers seen in our marketing review are in line with big banks targeting higher-income and mass-affluent markets, households with $50-100k median income and local geographies showing growth (like Austin and San Jose, for example). Some digital advertising (captured on mobile) was seen from very small players, but the following is evidence that banks continue to invest in tactics proven to deliver localized results using a basic formula that relies on traditional channels. Given the geographic targeting and relevant demographic reach that newspaper advertising provides, we see local print campaigns being used most frequently. Capital One, Chase and TD North buy local media to promote expansion into important markets. TD Bank and Capital One appear to rely solely on print campaigns. Capital One ads appeal to Austin urbanites. Chase print drives to branch. Less commonly used by the most active banks to promote new branches, email is not as efficient when banks are targeting prospects better reached via conventional mail within a precise geography. Banks like Alpine – fewer assets and smaller footprints – may be using email to target younger prospects, in this instance those residing near their new Denver location. 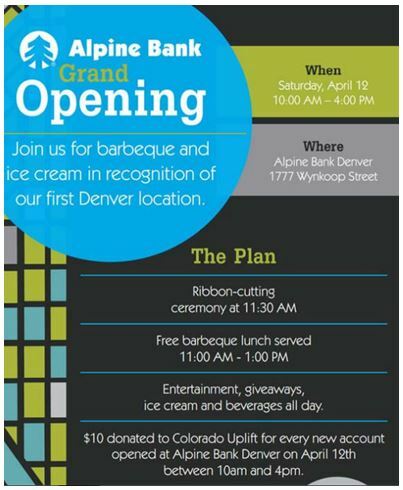 Alpine’s effort is noteworthy – and unique from others – as the bank focuses on charitable contributions as part of the new branch celebration… an approach likely to appeal to urban Millennials. Facebook and Twitter are being used to promote grand opening celebrations. Depending upon the size of the FI, Twitter seems to be the preferred social platform. 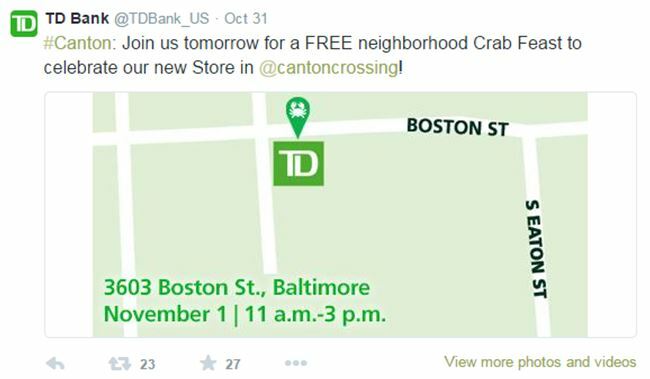 TD Bank – the leader in Q1 2014 branch openings – typically uses Twitter to promote the opening of their new stores. Tweets position them as neighborhood events, conspicuously absent of any product/services promotions (unlike their big bank group). 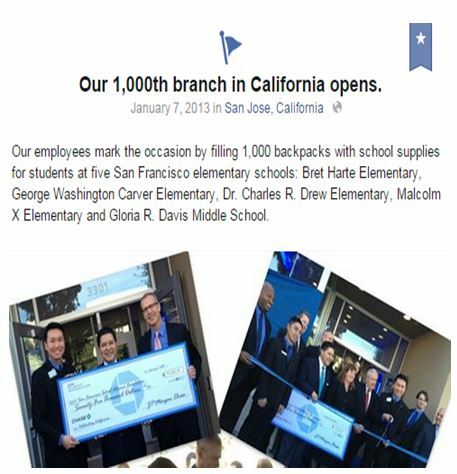 Chase does not typically promote branch openings in social streams, unless it’s a landmark event like the San Jose branch opening which put Chase’s California branch count at 1,000. Here, the branch creates a Facebook “milestone” for the opening. 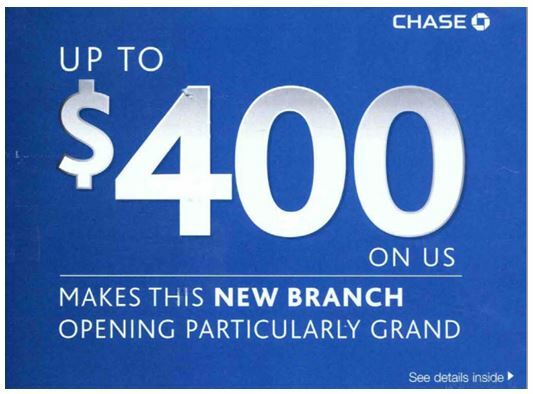 Chase offers up to $400 for new checking and savings account openings at new branches using targeted direct mail and asking for substantial initial deposits. In some markets via mass advertising, the Chase offer is $125 for new checking accounts and direct deposit set-up. TD Bank offers a $25 Visa gift card upon new checking account opening. Rather than emphasizing the banking relationship, smaller banks tend to promote a variety of product incentives to spark new customer interest . For example, Liberty Bank advertises “a special 1.50% APY celebration savings account” good through 2016. 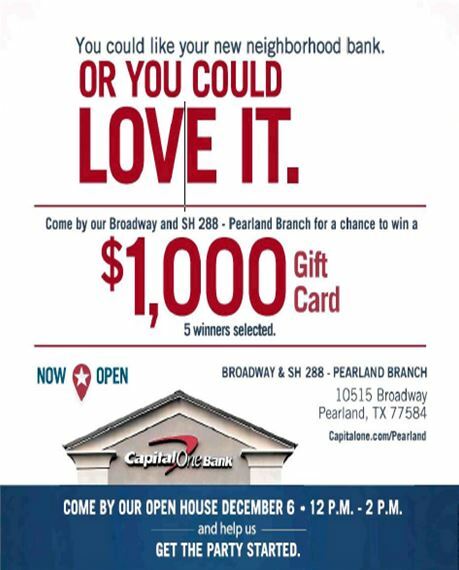 Capital One gives out $1,000 or $5,000 gift cards to selected branch visitors. 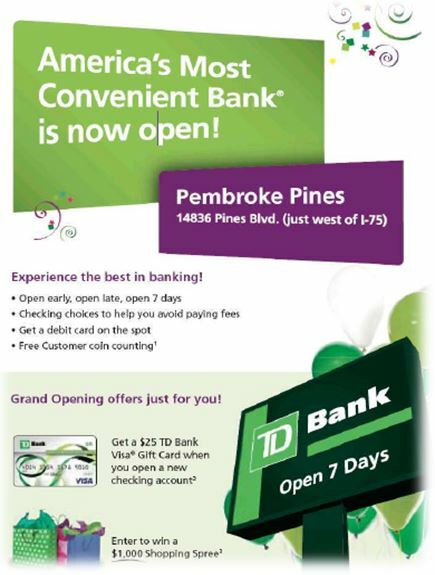 TD Bank, in addition to a bank-related offer, enters visitors into a $1,000 shopping spree. 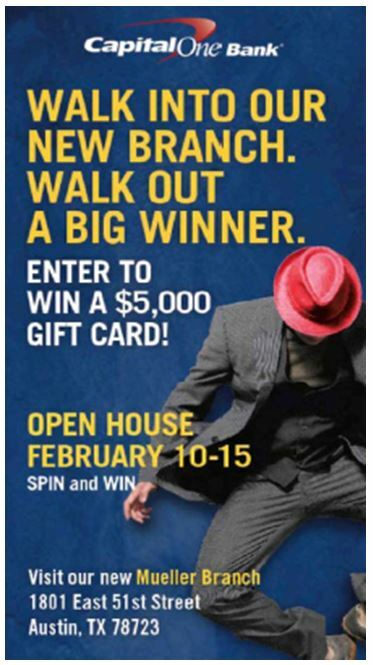 Many banks promote “Grand Prizes” of popular electronics – Apple iPads, Garmin GPS, widescreen TVs – for those who stop by and enter to win. *SOURCE: “American bank branches are closing faster than new ones are opening” by Mark DeCambre at Quartz. 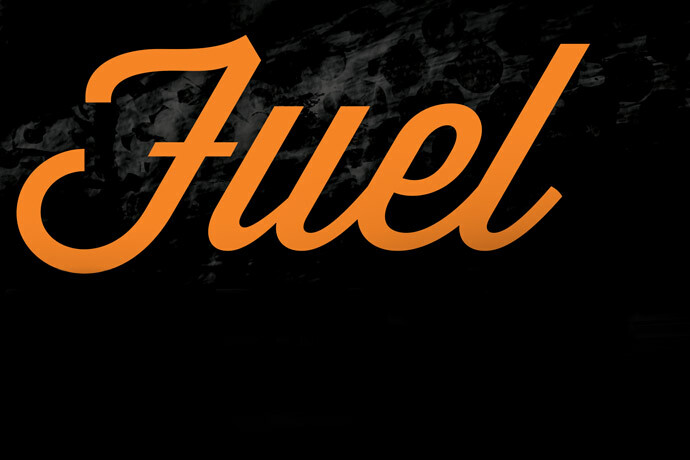 Other images sourced from Competiscan, a full-service, competitive intelligence market research firm that enables clients to study marketing and loyalty strategies by industry, company, product or recipient demographic. Media channels tracked include direct mail, email, online display, social media and print. 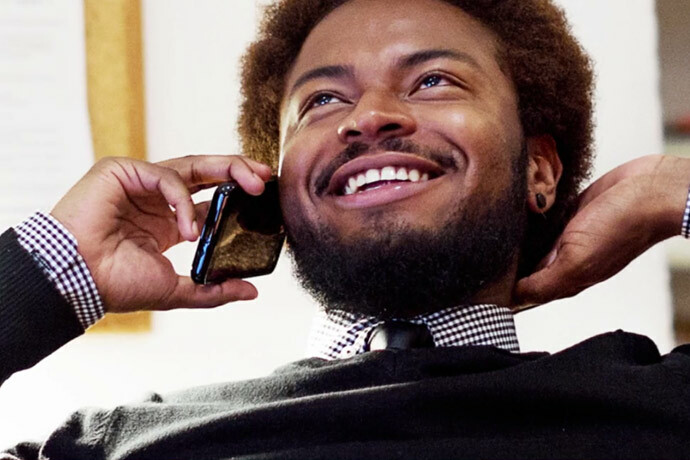 Competiscan’s web-based search facility helps clients understand what consumers, business owners, financial advisors and insurance producers are viewing in the marketplace. Branch grand openings represent opportunities not only to evolve the brand’s physical footprint but also to grab market share from competitors. This is especially true in densely trafficked and populated urban markets.